All is not sweet in the world of Candy Crush. 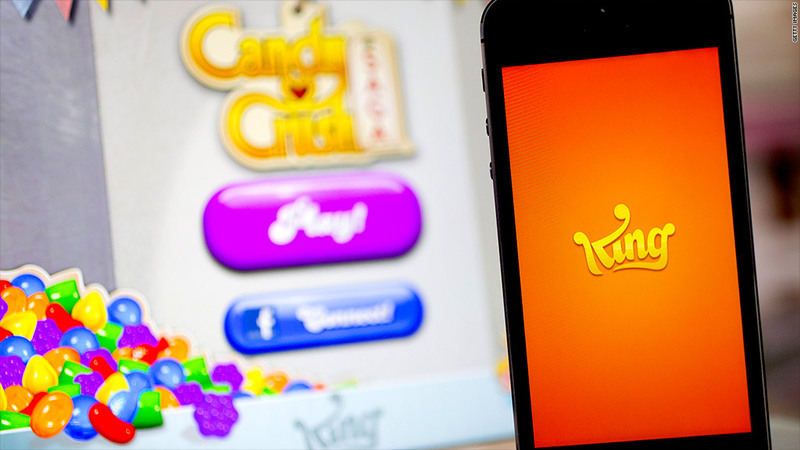 King Digital Entertainment (KING) gave investors the financial equivalent of candy corn when it reported results on Tuesday. The online game maker generated less revenue and signed up fewer players than Wall Street had been expecting. That led King Digital to forecast a grim rest of 2014. The results highlight the risks facing King Digital, which some analysts warned was a one-trick pony when it went public in March at $22.50 a share. Investors have soured on the Candy Crush maker since then. There was only one day that the stock closed above its IPO price and that was in early July. King fell over 20% to just over $14 a share in after-hours trading following Tuesday's earnings dud. Adjusted revenue jumped 30% to $594 million, but that trailed Wall Street's expectations. Daily active users nearly doubled to 138 million, but those user metrics were a disappointment, and users haven't been spending as much as investors would like to see. King CEO Riccardo Zacconi acknowledged that second-quarter gross bookings -- the money they get from players who buy things on the game -- "came in below our expectations." Still, he said "the business continued to perform well," pointing to cash flows of $154 million. The healthy cash flows prompted King to unveil a special dividend of $150 million to investors, but that wasn't enough to satisfy investors. The question continues to be whether King can replicate the success it enjoyed with Candy Crush. The company said for the second straight quarter it had three of the top 10 grossing games on the Apple (AAPL) App Store and Google (GOOGL) Play Store in the U.S. In addition to Candy Crush, King is behind the games Pet Rescue and Farm Heroes, and it's set to launch Candy Crush Soda in wide release later this year.